Omeo Uterus Syrup is a combination of Aletris farinose, Janosia ashoka, Helonias dioica, Thlaspi bursa pastoris. 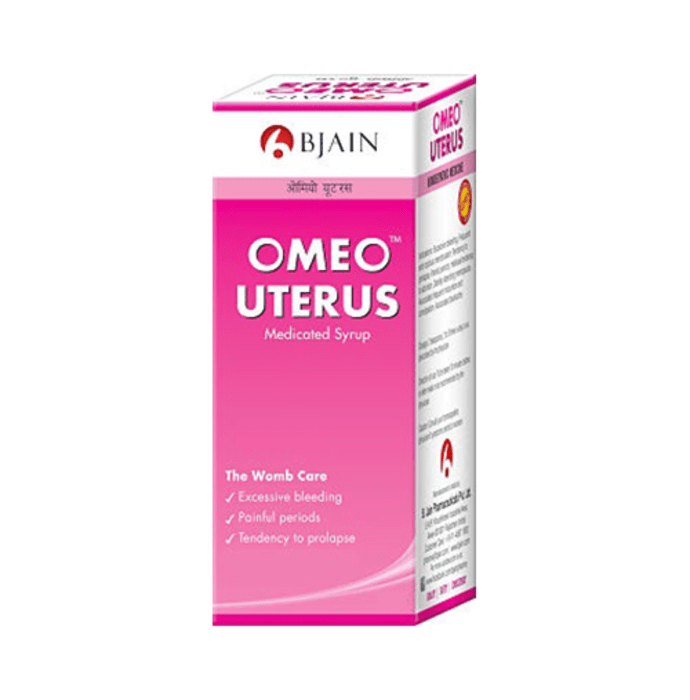 Omeo Uterus Syrup is for Womb Care, a speciality product for uterine disorders. It acts on vascular system of the reproductive organs of women and relieves menorrhagia, clotted blood and menstrual colic, stimulates nervous system and imparts tonicity to the muscular fibers of the uterus. Thus, it relieves bleeding disorders, reduces liability to abortion and relieves dysmenorrhoea. Omeo Uterus Syrup is recommended for excessive bleeding, frequent and copious menstruation, tendency to prolapse, painful periods, habitual tendency to abortion, debility attaining menopause (absence of menstrual periods for 12 months, the time when the function of the ovaries ceases. ), associated frequent micturition constipation, associated backache.